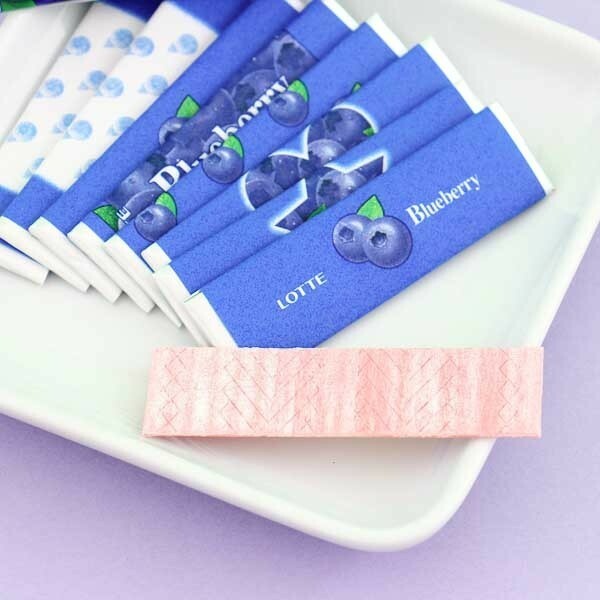 Lotte is a very well known company all over Asia and now they have brought us these sweet blueberry chewing gums! 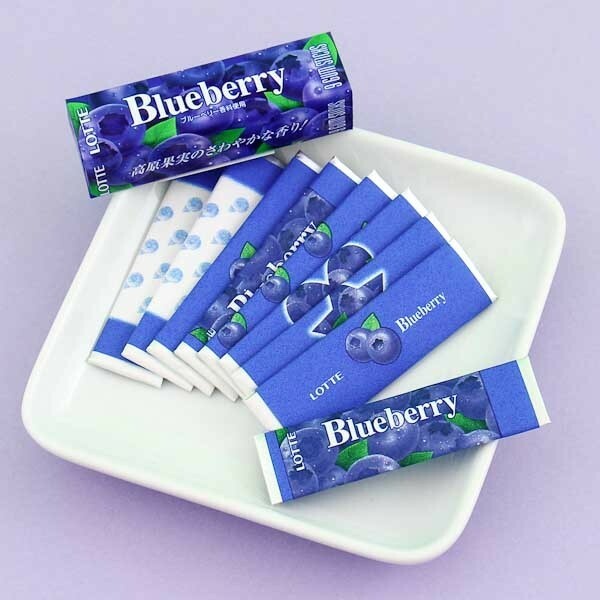 This delicious package has a cute blueberry design and contains 9 individually wrapped bubble gum bars. You can keep these yummy bars all to yourself or have a fun time with your friends by blowing big bubbles together!